See other products and categories in the Seating category. Our classic Adirondack combined with the gentility and comfort of a rocking chair. 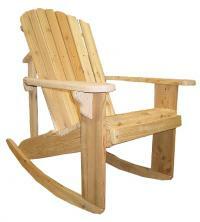 Also available as a Big Boy Adirondack Rocker. CLICK TO SEE ENTIRE COLLECTION OF ROCKERS AND GLIDERS. Designed for love birds with room for two! 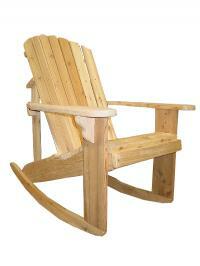 Our Adirondack Loveseat Rocker is perfect for spending an evening with loved ones rocking on the porch. When you want a bit more room to rock! 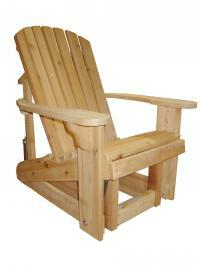 As comfortable and charming as our classic adirondack rocker with nearly 20% more space. Some say our glider is the most comfortable version of any Adirondack style chair.��Aslo available in��Big Boy and loveseat sizes. 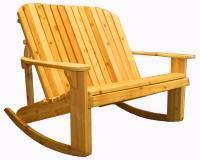 The larger version of our Adirondack glider offers ultimate comfort when you're ready to relax. Also available in the Classic Adirondack and Loveseat sizes.